My colleague, friend, and co-conspirator, Rev. 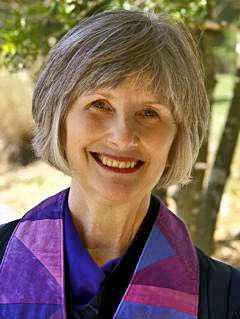 Jacqueline Luck, is the minister at the Holston Valley Unitarian Universalist Church in Gray, Tennessee. Among many projects, Rev. Luck is active with United Religions Initiative and the Green Interfaith Network. She talked with me about the history and commitments of Unitarian Universalism, and practicing a liberal faith in East Tennessee. She is my guest on Religion For Life. Monday, January 30th at 1 pm on WEHC, 90.7. Thursday, February 2nd at 8 pm on WETS, 89.5. Sunday, February 5th, at noon on WEHC, 90.7. Sunday, February 5th, at 2 pm on WETS, 89.5. Via podcast beginning February 6th.